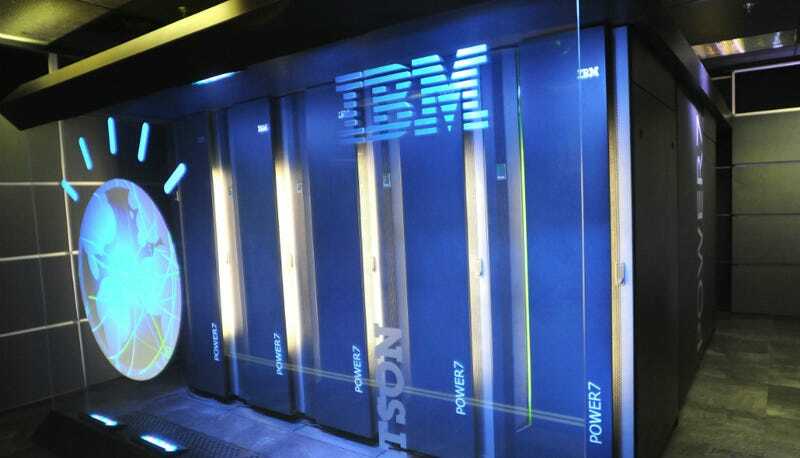 Remember Watson, the IBM computer that won on Jeopardy? Apparently, he's broadening his skill set, and we are all doomed. As part of an effort to broaden Watson's appeal, IBM has decided to have him try his USB port at cooking. No, the computer doesn't actually make the food; the plan was for him to use computational creativity to conceive of dishes and flavor combinations that had never been seen before, at which point actual chefs with opposeable thumbs would prepare the meal itself. After having eaten every single morsel provided to me at dinner — a total of six courses — I can say quite clearly that the answer is yes. I would just like to take this opportunity to say that I, for one, welcome our new robot overlords, and not just because I really, really, REALLY want to see them attach robot hands to Watson so that we can one day have Gordon Ramsay or Ludo Lefebvre throw a plate of undercooked chicken at a supercomputer (who am I kidding? Ludo wouldn't throw anything, he'd just get really excitable and jump up and down a lot). Also, the talking head interview splices with Watson on a cooking show sound like one of the greatest potential SNL sketches ever.